It is often difficult for patients to determine which product, if any, is needed for their injury, where to find it or even how to use it. If rehabilitation products are used incorrectly, they may actually be causing more harm than good. However used correctly, rehabilitation products can help you cope with your symptoms and accelerate your recovery period. 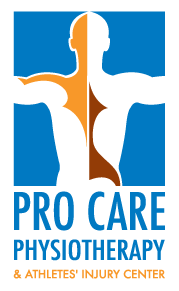 Pro Care Physiotherapy & Athletes’ Injury Center offers a wide range of rehabilitation products to help you through your recovery phase. Give us a call or stop by to see us for your rehab product needs.